Named after an evil character of the first Star Wars movie, Grant Moff Tarkin from Belgium sound anything but futuristic. On their first full length album, the Belgian four-piece plays some kind of psychedelic blues rock that borrows from many different eras and eventually never really manages to find its own place in musical history. 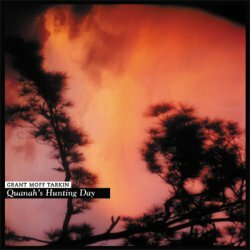 Quanah’s Hunting Day is an ok debut from a band that consequently does what it wants to do, so much is clear from the onset. Based mostly on blues rock patterns, and fronted by singer Julax whose voice lends the songs an atmosphere somewhere between Sheryl Crow and Portishead, we come already to the first major problem. Grant Moff Tarkin are dabbling too much in mellow territories, and whenever they start to turn the guitars up and get more energetic, their singer seems to lose the self-confidence to carry her voice to a more aggressive and biting mood. The production also doesn’t melt the instruments into one coherent sound, at times the guitar feels a bit lost, especially during solos or harmonies where an additional rhythm guitar would help a lot. But we should not forget the positive aspects of Grant Moff Tarkin. First of all their uncommercial approach is rather refreshing, and Absynthe Minded’s Jan Duthoy plays some nice Hammond organ on a couple of tracks. In fact Grant Moff Tarkin are stylistically not that far away from the already more popular Belgians. Steven Marx of the late Hypnos 69 plays saxophone on the wilder Midgets And Liars. Quanah’s Hunting Day is, apart from a previously released and now sold out EP, only their debut full-length, and as such it shows already quite some promise, even if it has some lengths during its forty-eight minutes. Maybe if you are more into melancholic indie blues stuff, you get more out of this album than I did. And people who have a link to a Daniel Johnston page can’t be that bad after all, or can they? If you like Seventies inspired mellow blues rock with a little hint of psychedelia, then this is something for you. Next time, I hope the Belgians put a few coals into their fire to get things really steaming!